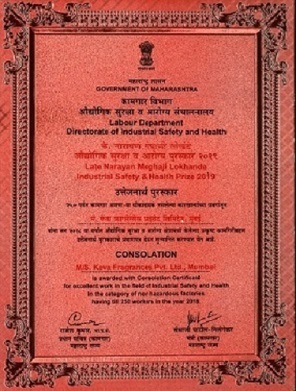 These awards substantiate that people are at the core of our company. Our team works together, bringing in best practices, and inspires each other to perform better; hence, raising the performance bar year after year. Marico's Supplier Meet – Best Performance in Quality conferred on 15th May 2014, Goa for consistency in quality and timely delivery of products. National L&D League Conference – Best in Diversity conferred on 5th November 2014, Gurgaon. 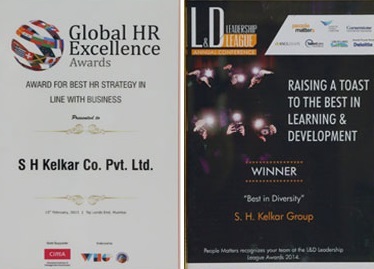 Global HR Excellence Award — Best HR Strategy in Line with Business conferred on 15th February 2015, Mumbai. 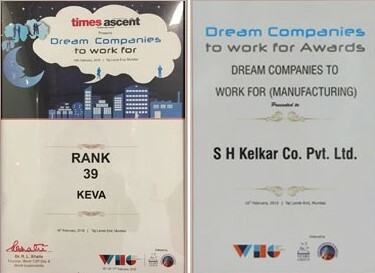 Dream Companies to Work For Award — Dream Company to Work For (Manufacturing Sector) conferred on 16th February, 2015, Mumbai.